You will learn how to use Heat n Bond, Soft Fuse, Steam-a-Seam to applique your patterns to the quilt. 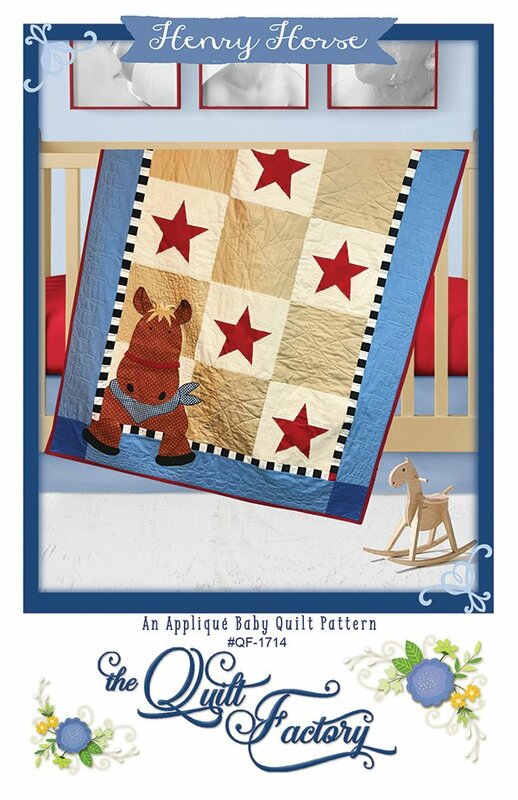 This quilt can be for a boy or girl by changing the colors. You must have the pattern; and a list of supplies is listed on the back of the pattern. I use machine embroidery thread, but regular sewing thread can be used. Requirements: Sewing machine in working order; pattern; fabric and supplies indicated on back of pattern. If possible a sewing machine that can do blanket stitch or zigzag stitch. You will also need: scissors to cut paper; scissors to cut fabric; mechanical pencil; small piece of black fabric for eyes and nose or embroidery thread for these. Optional - pinking scissors if you have them. Before class have your squares cut.